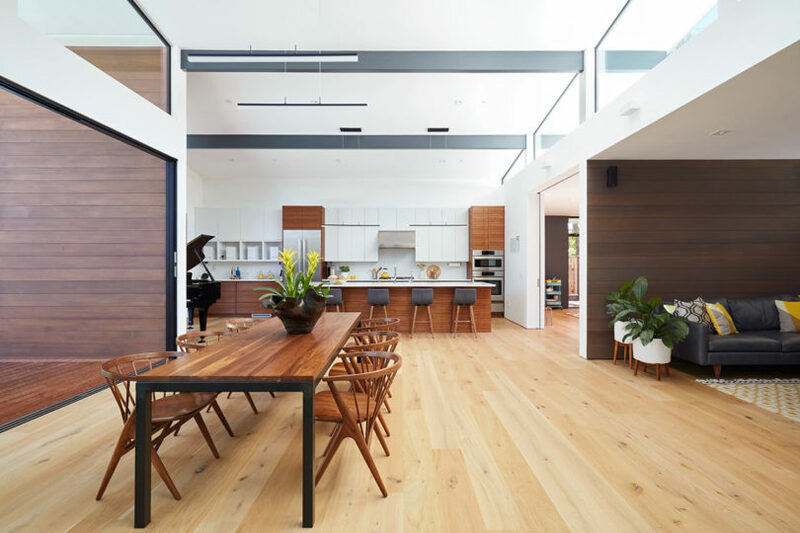 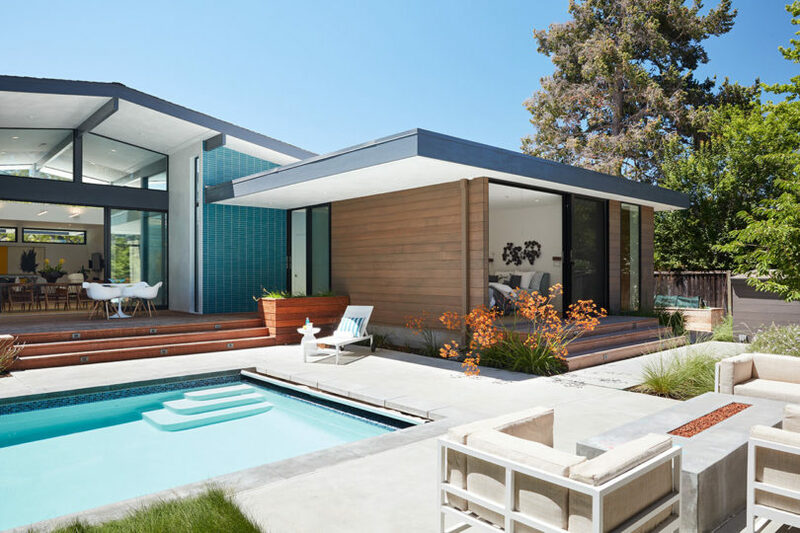 Klopf Architecture’s name has become synonymous with the restoration and renovation of iconic Eichler homes, but what you might not know is that they design new builds that are equally as exquisite. 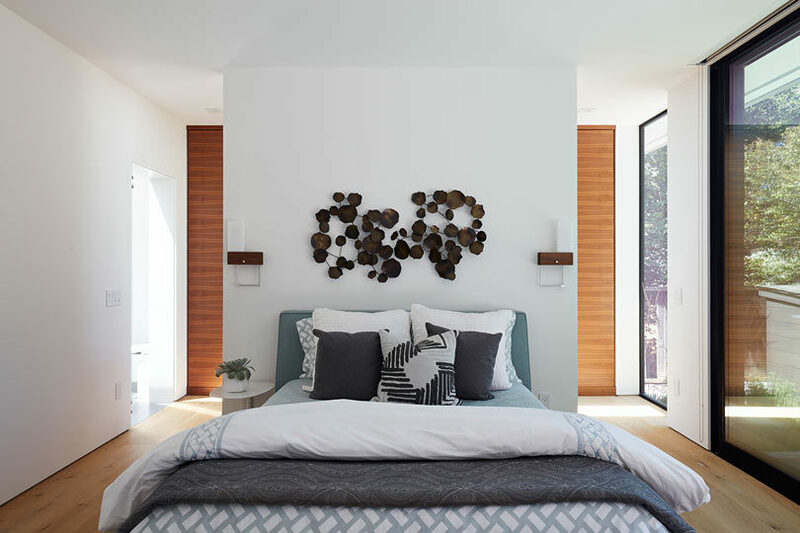 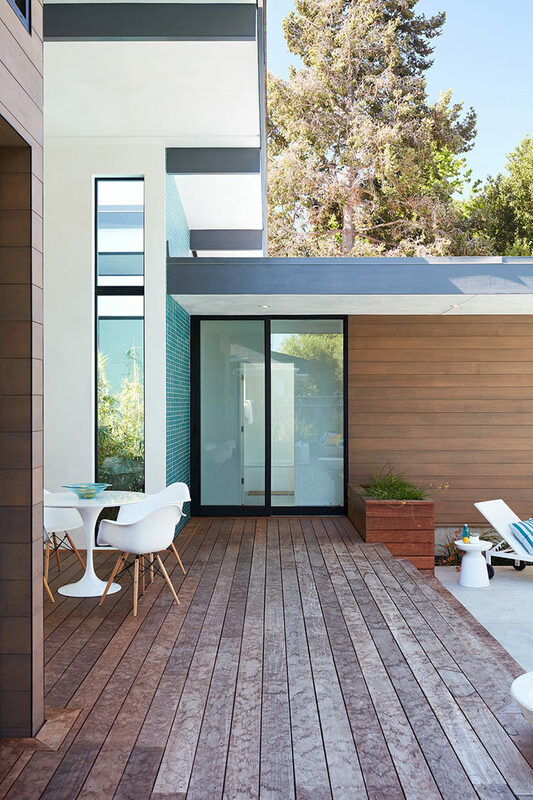 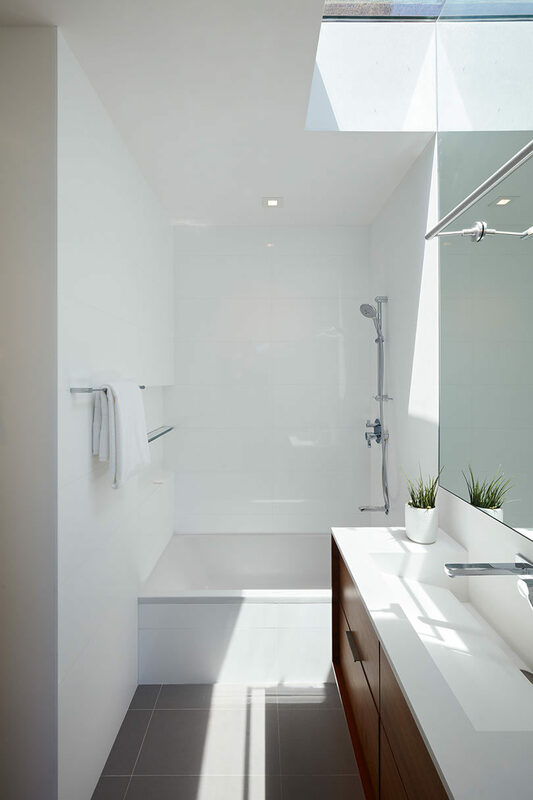 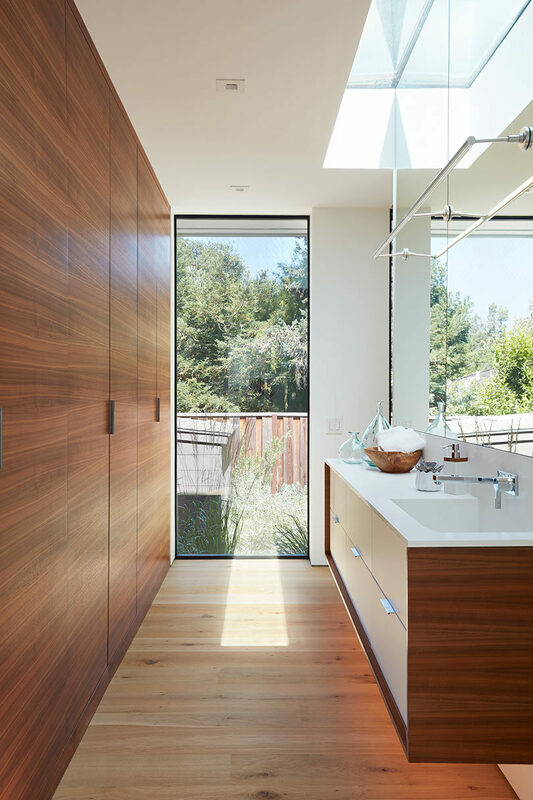 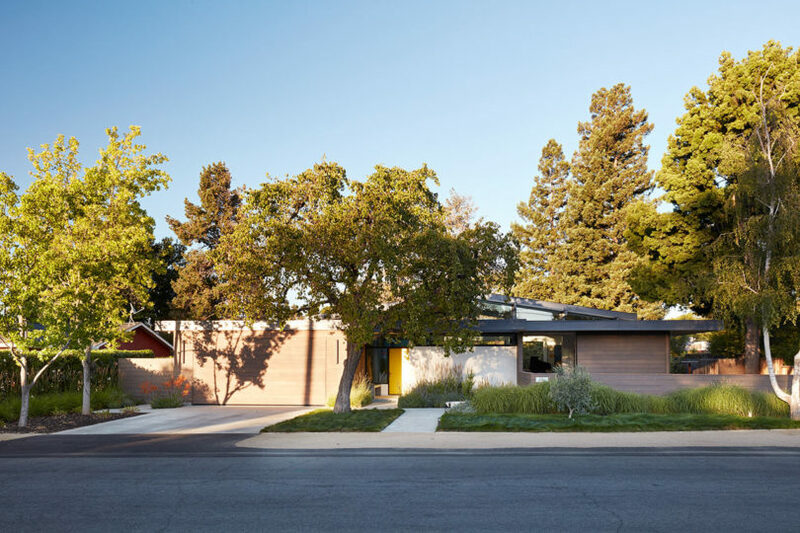 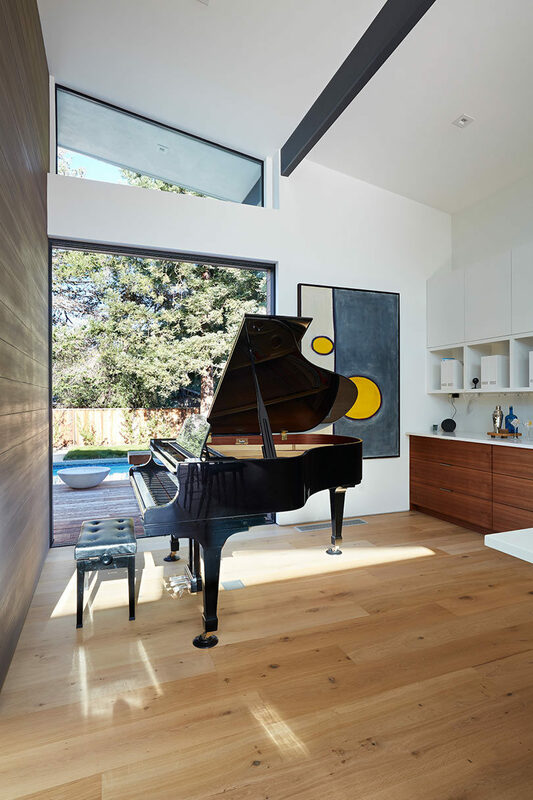 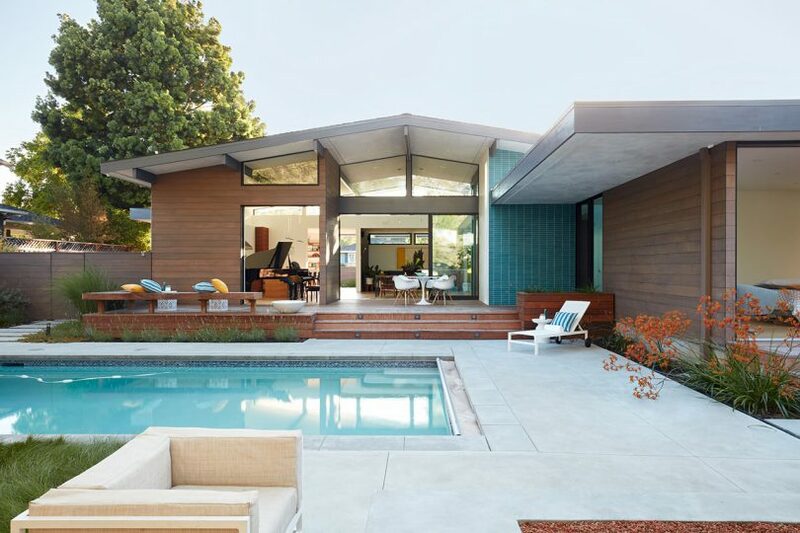 Their latest project, the Los Altos New Residence, is a project inspired by mid-century modern homes that’s complete with the perfect indoor/outdoor living scenario to enjoy California weather. 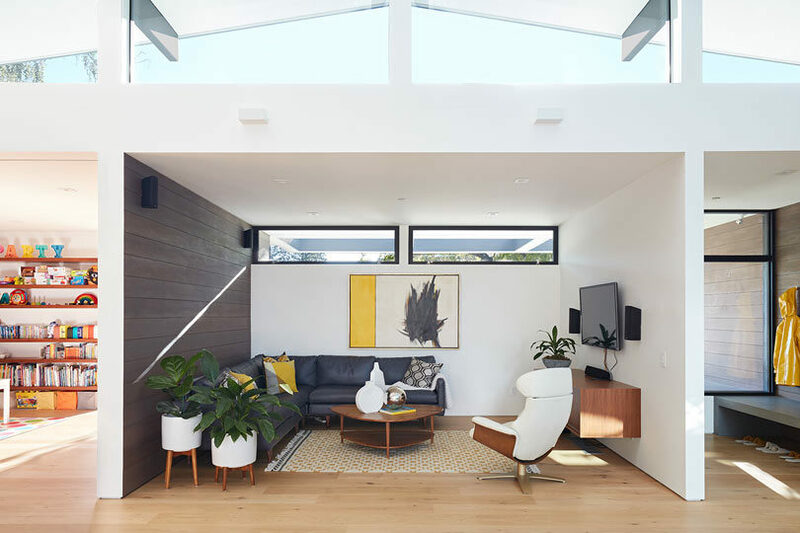 A low sloping roof with clerestory windows fills the open living space with natural light while making it feel massive and grand. 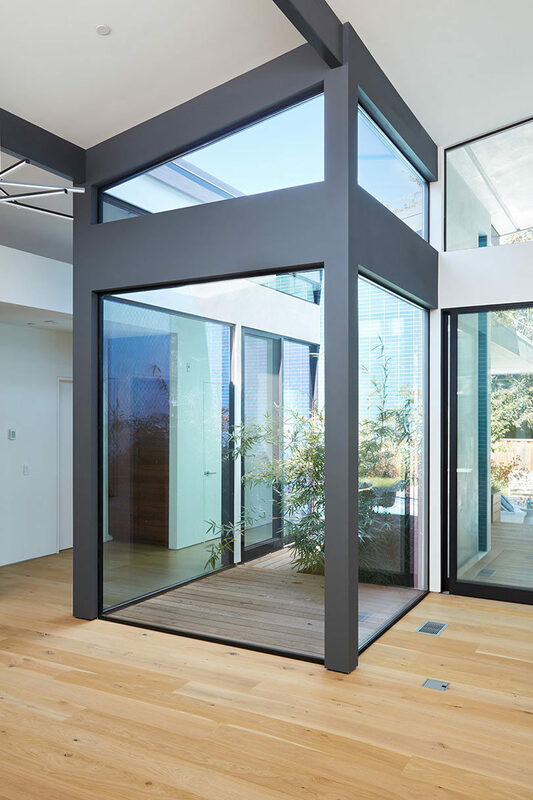 Sliding glass doors open to expand the home’s interior footprint into the outdoor space. 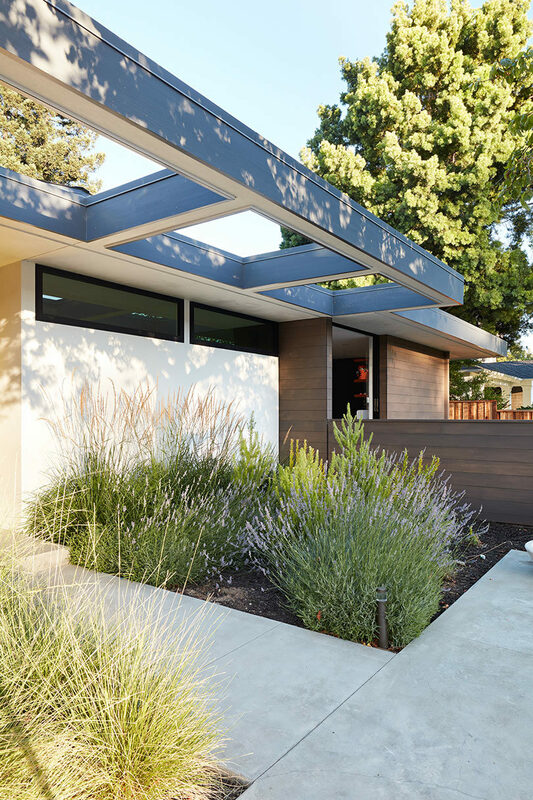 Klopf Architecture partnered with Outer Space Landscape Architects to achieve the beautifully landscaped yard and outdoor spaces. 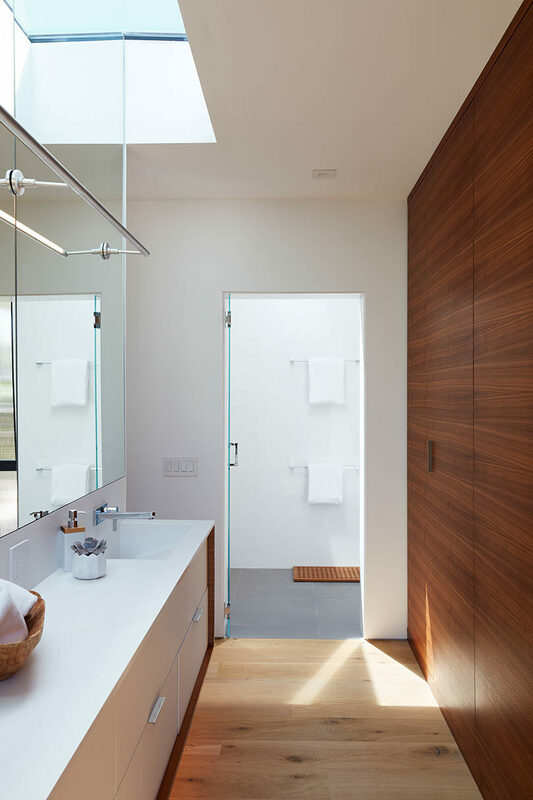 Wood siding was used both inside and out creating a cohesive feel and tying the spaces together. 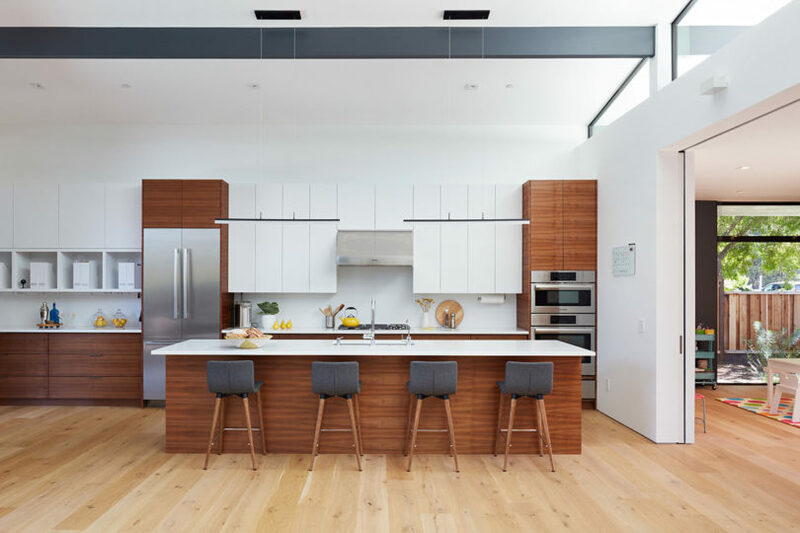 White walls and white oak floors are paired with walnut cabinetry and furnishings. 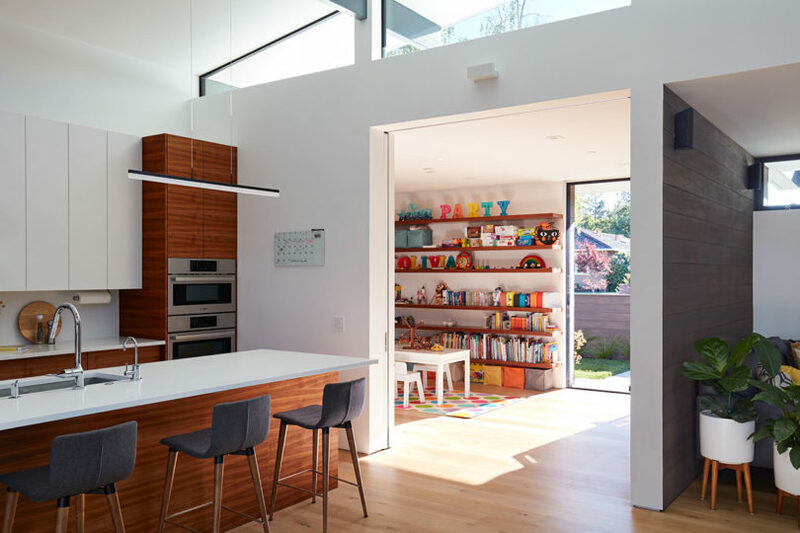 Just off the kitchen is a children’s playroom that opens up to a fenced-in play area outside. 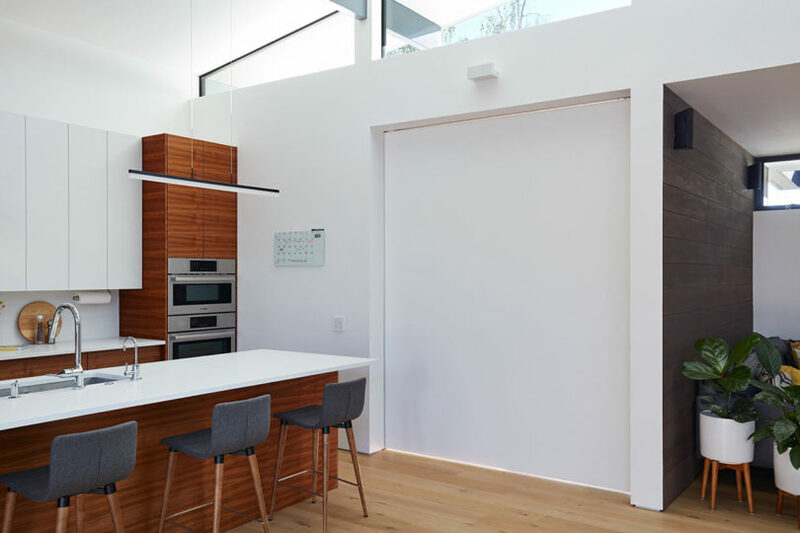 When not in use or if they want to hide the mess, they can simply close the sliding pocket door. 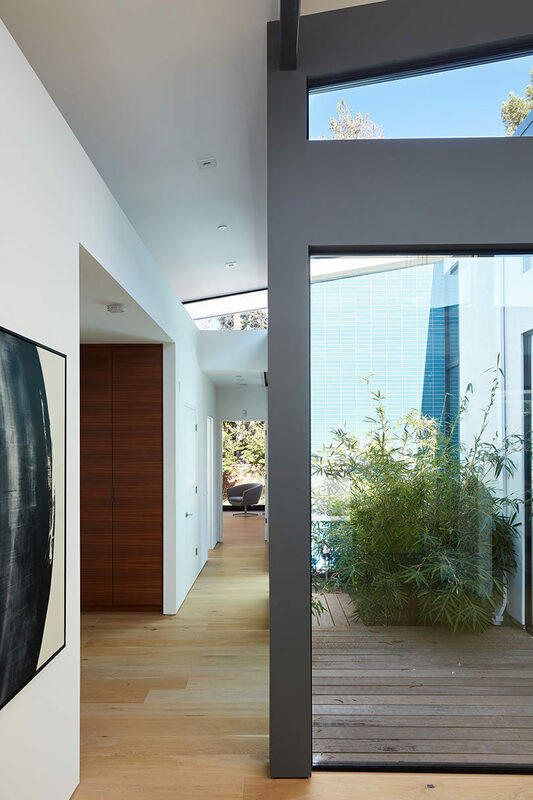 An open atrium helps light the central part of the house while adding a bit of nature as a focal point.